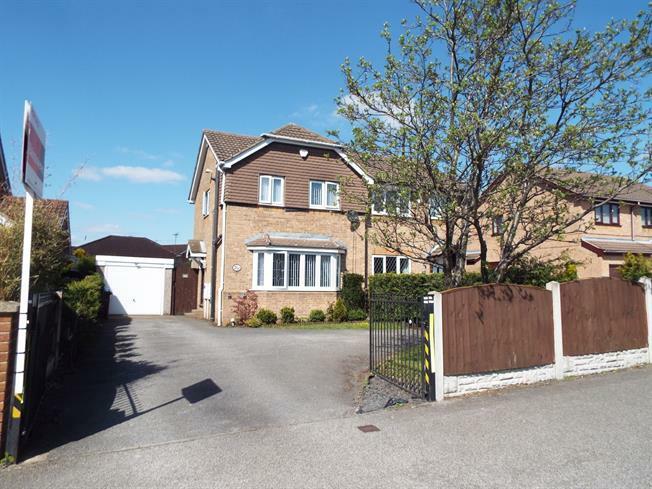 3 Bedroom Semi Detached House For Sale in Mansfield for Asking Price £154,950. SEMI-DETACHED HOUSE . . . CONSERVATORY . . . LARGE DRIVEWAY . . . THREE BEDROOMS . . . The accommodation comprises an entrance hall, large lounge, kitchen and conservatory. To the first floor there are three bedrooms and the family bathroom. Outside of the property is an enclosed garden to the rear with a large driveway to the front. The property is in good condition throughout and benefits from gas central heating and UPVC double glazing. A UPVC double glazed door gives access with under-stairs storage cupboard and door to lounge. With a double glazed bay window to the front, radiator and stairs to the first floor. The kitchen comprises a range of wall and base mounted units with roll top work surfaces over, one and a half bowl sink with drainer and integrated appliances include oven, hob, extractor, washing machine, fridge and freezer. There is a double glazed window, back door and radiator. With patio doors opening onto the garden and a radiator. Double glazed window to the side and doors to accommodation. The three piece suite comprises a low level WC, panelled bath with shower over and a pedestal sink. Double glazed window to the rear and a radiator.